Summer vacation has finally begun. You’re on a gorgeous, peaceful lake. You spent the day kayaking between small islands, walking along a wooded trail, and fishing for pike off the dock. You sipped a rhubarb gin and tonic before dinner, practically licked the bowl of your cauliflower and wild garlic soup clean, and made s’mores by a crackling fire during a late sunset. You should be ready to sleep at this point. But the best part of your day has yet to come. At a lake resort, you’d usually stay in a cabin by the water. There are both lakeside and waterside cottages here. But there are also forest domes. The seven inflatable bubbles are scattered farther inland behind private wooden gates. They feature a transparent roof and walls, so you can enjoy your beautiful natural surroundings during the day and the dark, starry sky at night. Underfloor heating and an electric blanket on the four-poster bed ensure that you’re never too chilly. An open-top bathtub and fluffy bathrobes should help, too. While little surprises, including lavender bath salt and garlic-and-thyme popcorn, make you feel like you could get used to this whole glamping thing. These forest domes are a recent addition to Finn Lough. 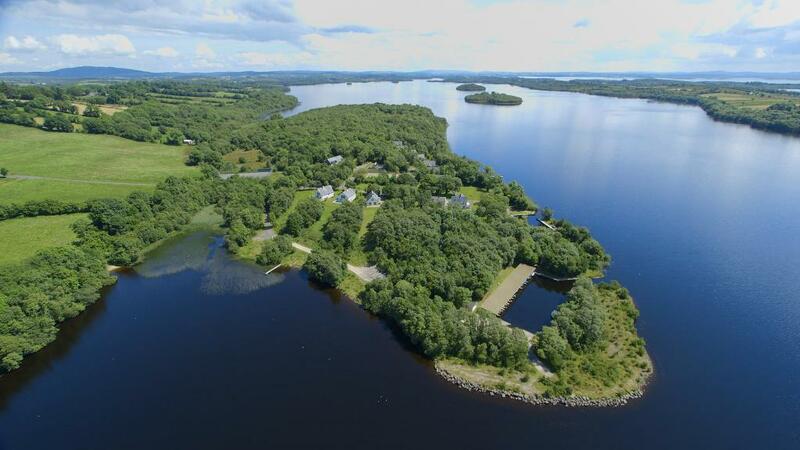 The resort, which is seamlessly elegant and rustic at the same time, sits on the north shore of Lower Lough Erne. Together with Upper Lough Erne, it forms the second-largest lake in Northern Ireland. Though a popular spot for fishing and water sports, the lake rarely feels congested in the middle of summer. Especially on Finn Lough’s private, 75-acre peninsula. Despite its solitude, Finn Lough has plenty to keep you occupied. Old-fashioned potato bread is served with breakfast. It’s a hearty way to start the morning. There’s a spa hidden behind stone walls and another wooden gate. You could spend hours in the hydrotherapy pool, the aromatherapy sauna, and the fireside relaxation space. Be sure to jump in the cool lake after sitting in the traditional Finnish sauna. A wooded bike trail leads to the ruins of a castle a few miles away. You might see badgers, deer, or otters along the way. Plus the all-white restaurant serves local, seasonal food, like the addictive soup you ate last night, for dinner. This is a great summer spot even without the forest domes. 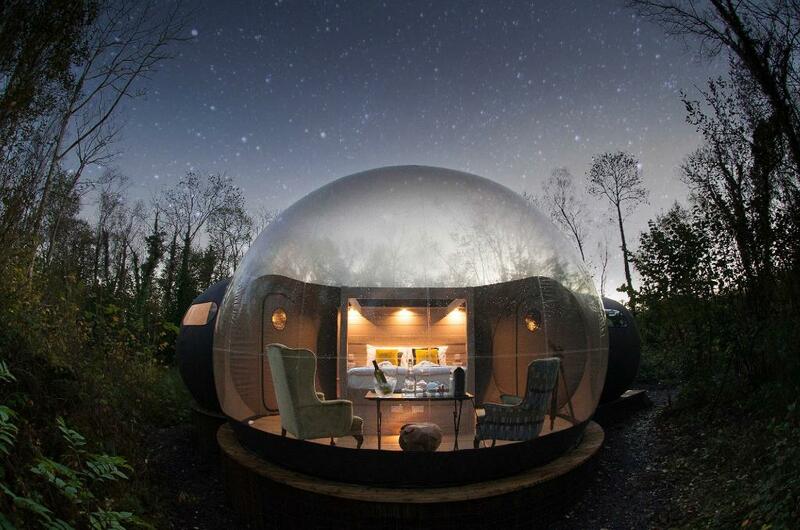 But the addition of the cozy bubbles makes it a unique destination worth the extra travel time. And now that the sun has finally set—it’s after 10 pm—it’s time to stare at the starry sky for the rest of the evening. You should start in the bathtub.